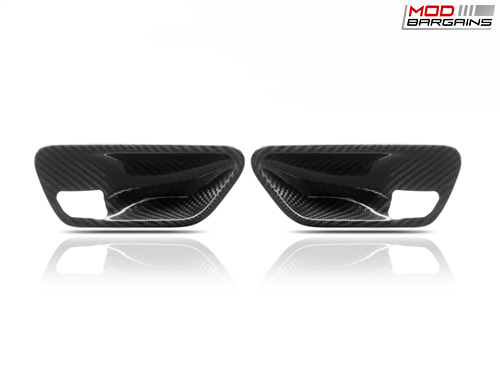 These carbon fiber door handle trims will compliment your other carbon fiber pieces perfectly, as well as any future carbon fiber pieces. 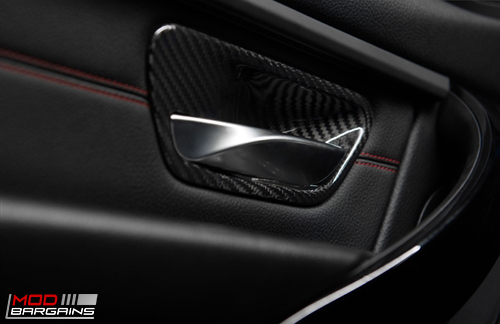 You'll have a hard time keeping your eyes on the road from starring at these fine carbon fiber door handle trims. These carbon fiber pieces look so good that you're going to have to make sure they're still there after every passenger gets out of your car. 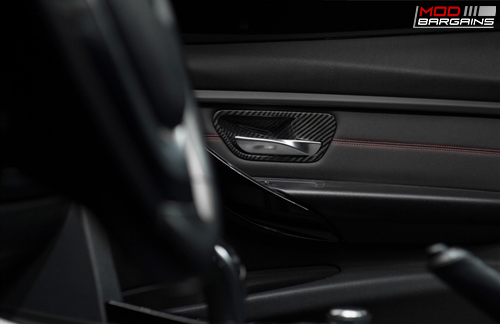 A set of high quality carbon fiber door handle trims will be a great modification to your interior that'll be sure to catch a lot of attention. These lightweight door handles provide an aggressive, yet clean look. The perfect fitment will ensure a flush and non-bulky fitment that will stay in place even after continuous usage. The high gloss clear coat will make sure the carbon fiber can sustain normal usage, driving conditions and weather.